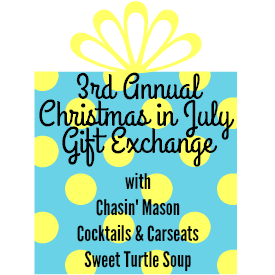 Chasin' Mason: [Christmas in July] The goodies! Merry Christmas in July! Can you believe that just FIVE months from today is Christmas? Blows my mind! The real Christmas Day will be here before we know it but, for now, we celebrate a little early with some gifts in July! I especially love this exchange because it falls during Mason's birthday month and makes it extra special for him. I literally felt like presents were arriving daily (due to this exchange, the blogger birthday exchange, and his actual birthday!) 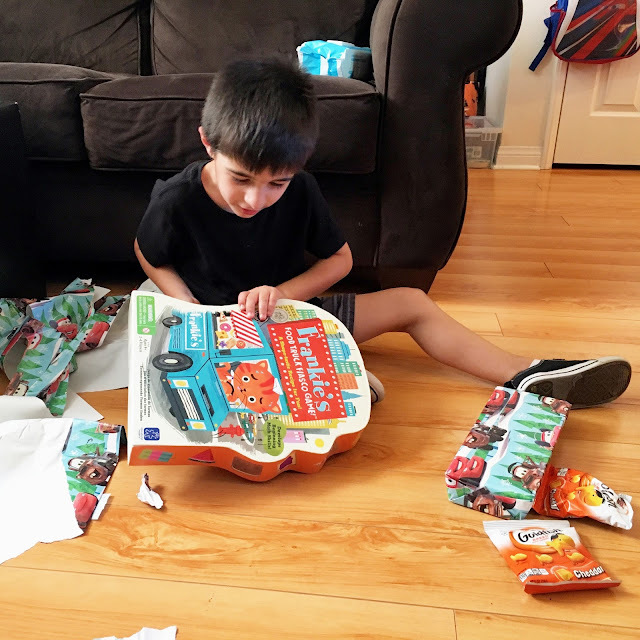 and he was SO excited to open them! Seriously though, the kid was so spoiled in July, he's going to be a little disappointed come August! As for buying gifts, Mason and I were lucky enough to be paired up with Stephanie and Connor. They were not new to us - I happen to love Stephanie and I was so excited that Mason and I would get to spoil Connor. I cheated a little and used Amazon to help us ship our presents to Connor so since I didn't pay for shipping, I added the amount that I would have spent on shipping in to what I spent on his gift, and Connor got an extra special present! 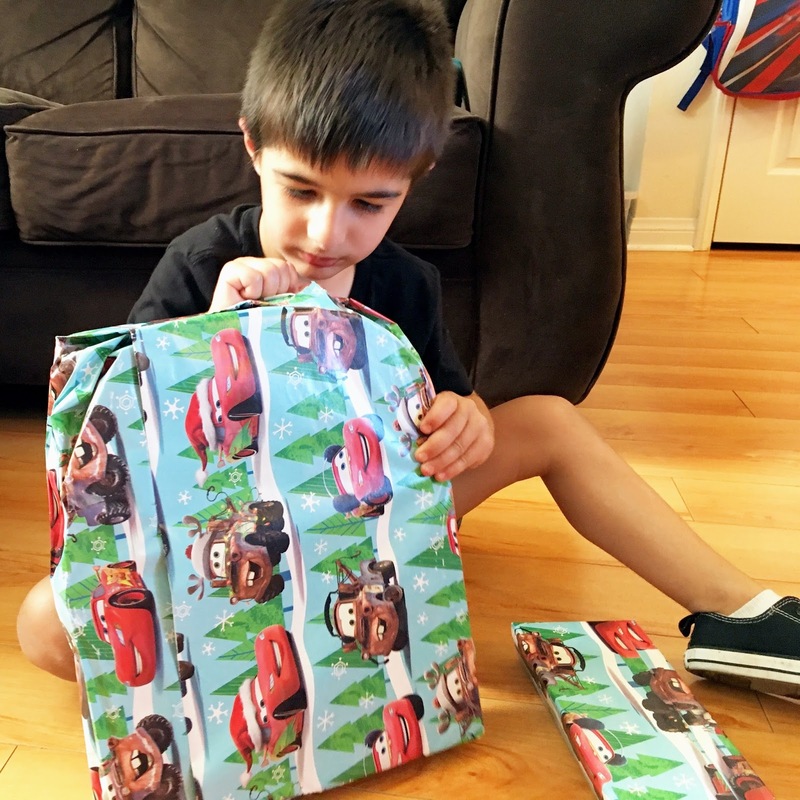 From what I hear, he loved it, but you'll have to pop on over to Stephanie's blog to find out what we got him! And as for us, we were paired with Meghan and Noah from The Adventure Starts Here. 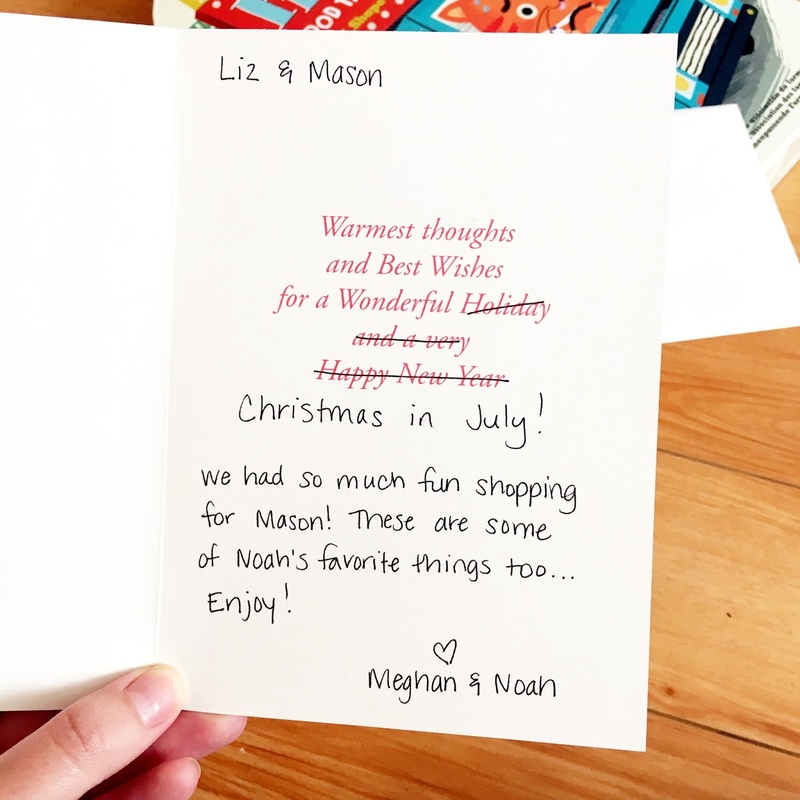 Meghan and Noah sent gifts to Mason. 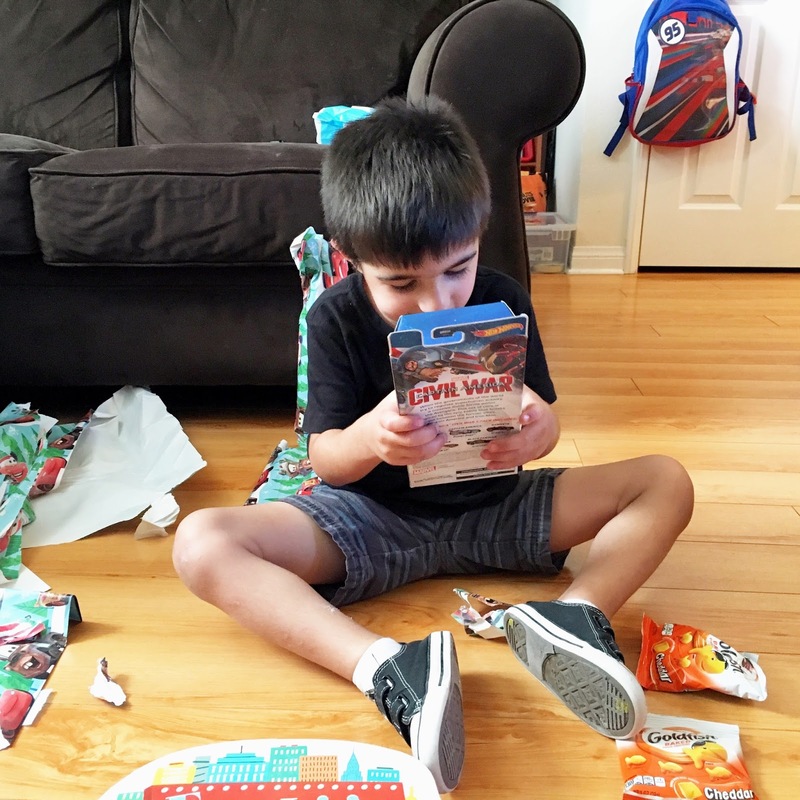 Mason was so excited when the package arrived and wanted to open it immediately. 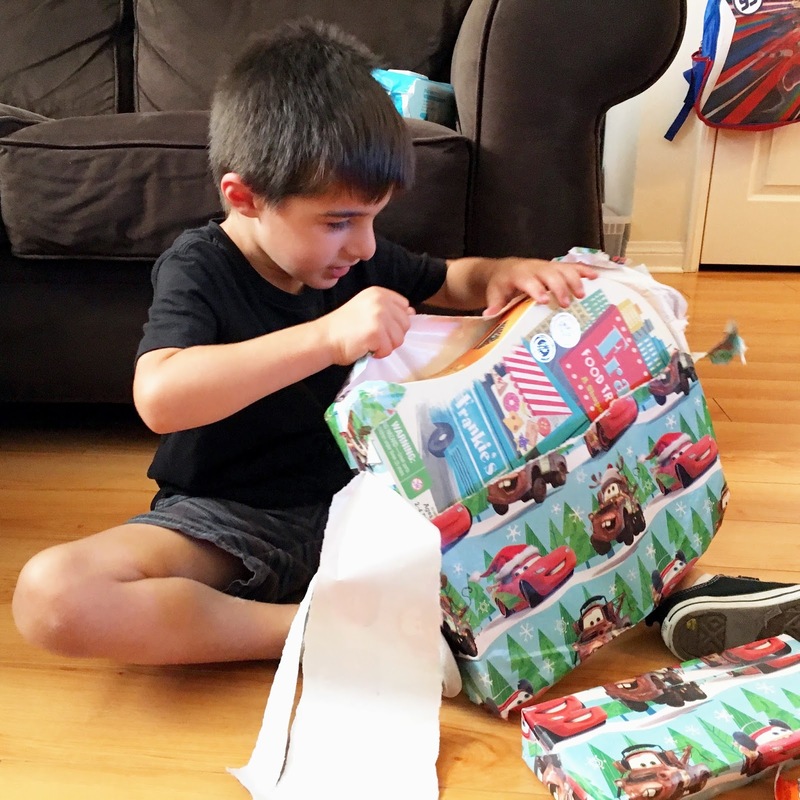 While I did give Meghan a couple suggestions on what Mason would like, I don't think she even needed them because she and Noah NAILED Mason's gift! 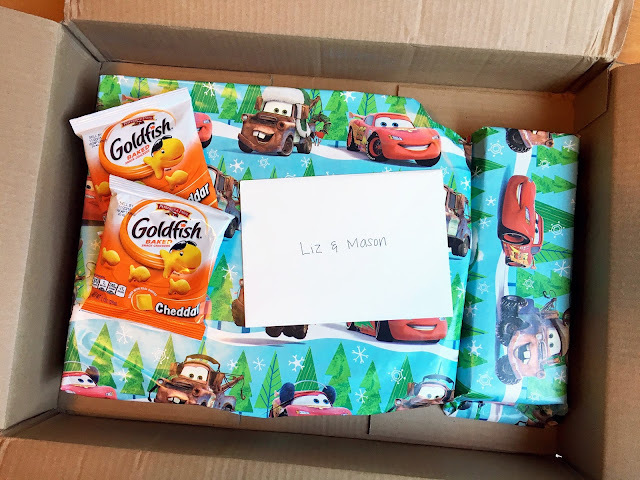 I LOVE the Cars wrapping paper and Meghan even had a Christmas card that she included! When Mason opened the first present, I was so excited! I knew that Meghan and Noah had been playing some of the other Educational Insights games (the maker of Sneaky Snacky Squirrel) so I was super excited to see Frankie's Food Truck Fiasco. I had been wanting to get another one of these games for Mason but was waiting to see what he got for his birthday. It's good I waited! Since this present arrived right in the thick of birthday celebrating, we haven't actually played it yet, but I know it's next on the list to open! And then there was the next gift. 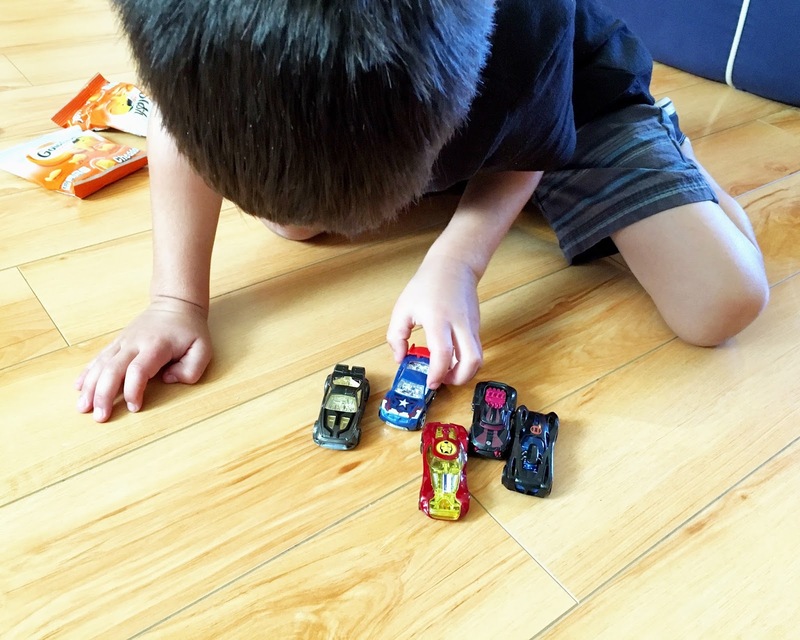 Mason has been ALL ABOUT the Hot Wheels lately (it's so cute when he says "ha whee-s!") and this next gift was PERFECT. A boy can never have too many cars right? Right. And these were great because these were super hero themed! Mason immediately handed me the package and said "help me!" 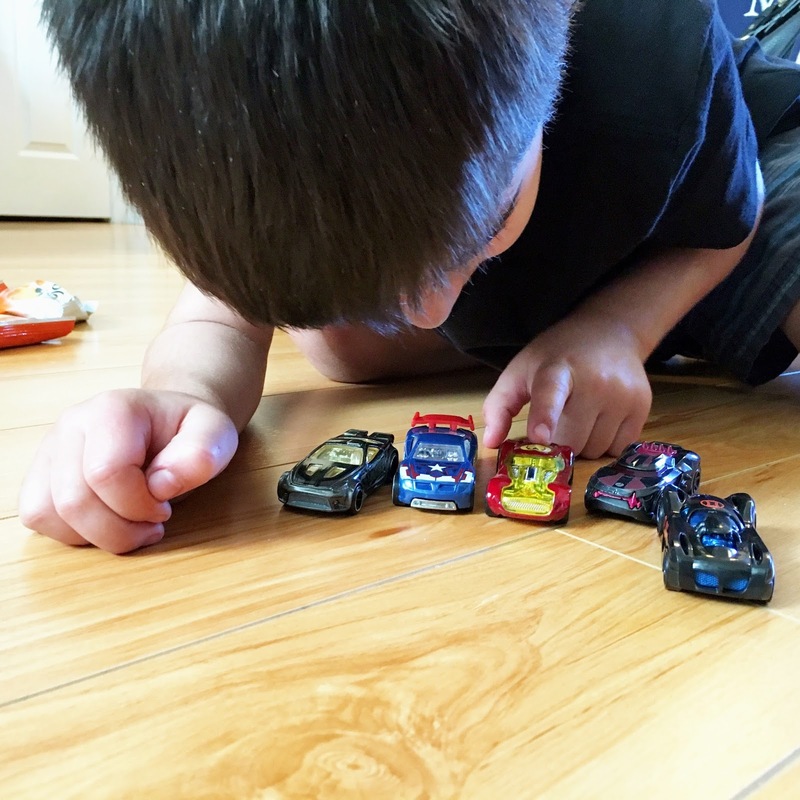 and so I opened them for him and he set them all out on the floor and studied his new cars. He was in heaven! Meghan and Noah, THANK YOU SO MUCH! Mason, of course, LOVED his gifts! Seriously you hit the nail on the head with the game, the Hot Wheels, and of course, the goldfish! Did you participate in the Christmas in July exchange with us? If so, link up below and show us the goodies that you got! I can't wait to get some ideas to add to Mason's Christmas list. So sweet!! My oldest always was obsessed with those cars! 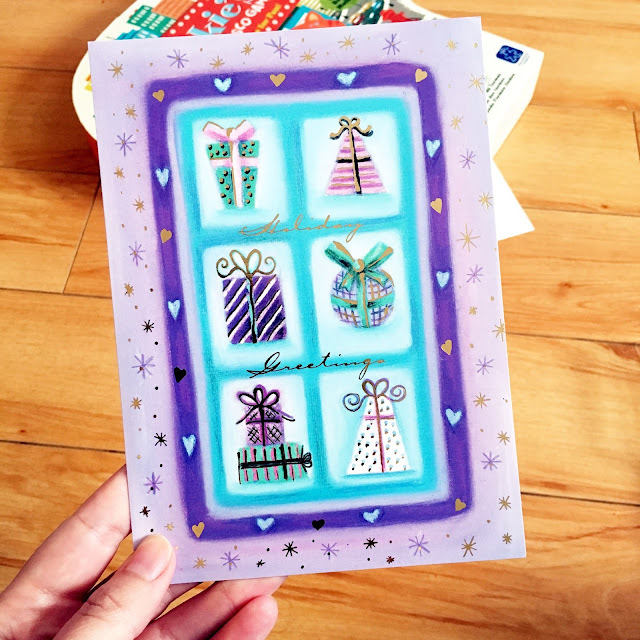 Thanks for hosting this fun link up! I'm glad Mason liked the cars! Noah helped me pick them up... And of course had to get them for himself too! He sure does know how to shop, haha! And you will love playing that game... I think we may play it today too! Aaawww so much fun! I love that this all happened right around his birthday. It really did add to all the hype and specialness. So much fun for him. Great stuff! We have the sneaky snacky squirrel game and Sadie loves it! I'm going to start adding some to her Christmas list now! Love these swaps! Awesome presents! I especially love the Marvel themed cars. I'll have to check out those games! I LOVE the wrapping paper too. They did great! What a great package! I'm sure he'll love that game! Aww, so sad we missed this one! Meghan and Noah did so well with Mason’s gifts. He looks so happy and excited! Look how excited he is!! What a great exchange! But seriously, that game looks so fun! We love Sneaky Snacky Squirrel. You'll have to let me know ho you like Frankie's Food Truck Fiasco! Frankie's is a favorite here. I really love all those games. What fun gifts for Mason.